Data scientist is considered the hottest job in 2018 for good reason. Combining the tech skills, business attitude and godlike-at-first-glance ability to build artificial intelligence, data scientists are indeed both highly desired and hard to come by. Recruiting data scientists comes with several challenges, with their high salaries being the least significant one. As the profession is a new one, most individuals have neither the educational background nor the long employment history that might be considered ideal. The lion’s share come from IT, but a significant number are scientists and business people. That’s why looking within your organization, particularly among data analysts, is a good way to find a data scientist. Below we discuss three benefits of this approach. Data analysts not only have to be proficient with data processing tools but also to have business acumen that will allow them to harvest the database for meaningful insights. Analysts have to be data-driven, curious and inquiring, with the problem-solver’s mentality. Adding programming skills to one’s skill set can go a long way to making the perfect data scientist. 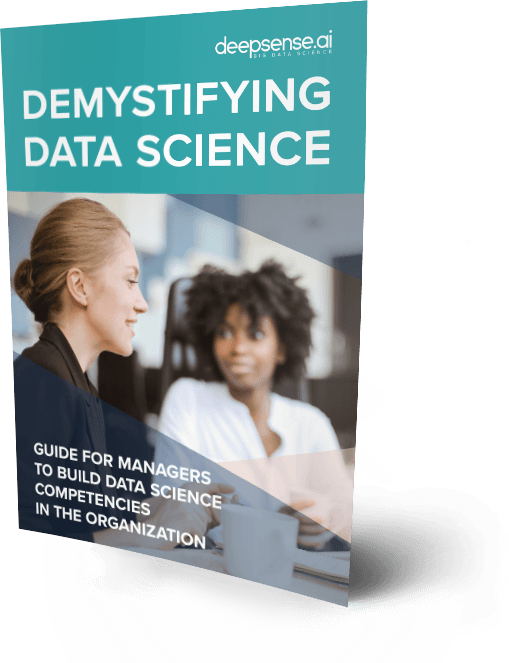 In fact, data analysts are often doing the work that data scientists try to automate with machine learning models. Preparing segmentation or rooting out anomalies within the database are among their daily tasks. Data analysts know what is and what is not the best part of a business to be automated. Being used to handling data-oriented tasks and having a strong business background, data analysts have the key qualities to become data scientists. What they need is to acquire the missing competence in building models. Reducing churn on teams is a key challenge HR departments face as employees come and go, seeking a pay rise or new opportunities. So what motivates people to stay? According to Shiftlearning, 70% of employees consider training and development opportunities motivation to stay. Giving a data analyst the opportunity to work in the hottest job of 2018 only by training him or her is a growth opportunity like no other – for the company and the employee. By transforming a data analyst into a data scientist, the company is both building a stronger bond with the employee and acquiring the skills it requires. Seeking employees is a tedious process, with job postings revealing only the tip-of-the-tip of the iceberg. The HR specialists need to review resumes, pick the best candidates and conduct interviews. The company has to invest time and money in the process. What’s more, it is far from certain that a given hire will fit the organization’s culture or work ethic. Data analysts that work for the organization are already trained, fit into the culture and have domain knowledge. So, the cost of recruitment is a non-issue – there is no need for onboarding or elaborate introductions to the work. And there are likely no other surprises. Last but not least, data scientists tend to be picky, as they have a plethora of job offers. If you are not Google Brain or an other tech giant, attracting them can be challenging. On the other hand, data analysts currently working for the company are already in and trust the brand. Related: How to start with machine learning wisely and become a data scientist? There is a slew of technical skills and a sizable block of knowledge to be mastered in order to enter the ranks of data scientists. In fact, learning the tech part of the job is not rocket science. If a data analyst already working for the organization can translate data into business, then he or she is more than halfway there. The distance between the world of AI and the business development department is smaller than one might expect, and many business analysts are already practically there without even knowing it. Supporting them with knowledge and training may be the best way to give them the skills they need and would no doubt love to acquire and to keep them at the company by giving them a great opportunity to grow. Free e-book will be sent to your email address. What is the best method of efficiently training machine learning for teams? Why do we need more data scientists and why should you become one? I agree to allow deepsense.ai sp. z o.o. to process my personal data for the communication purposes relating to the services offered by deepsense.ai. I'd like to receive newsletter and business information electronically from deepsense.ai sp. z o.o. pursuant to the Regulation (EU) 2016/679 of the European Parliament.